There are a number of scientific and academic magazines (like MIT’s Technology Review, also available online) distributed in the US, which disseminate data about advances in science and technology to an academic as well as general audience. The ground-breaking advances in scientific research described by these journals contain the seeds of the new technologies needed to move towards a sustainable world. These publications inspire and encourage students and researchers to explore the topics further and find the connections that lead to further advances, including widespread commercialization. However, due to a variety of circumstances, including lack of access or money, most students at institutions of higher education in developing countries in the English-speaking world (such as India) do not get access to these publications. At the same time, excess and unsold copies of the publications are destroyed without their value being fully utilized. We propose to obtain donated copies of the magazines from the publishers, and distribute them in developing countries to libraries of schools and colleges where the subject matter would be of maximum interest, and where the readership would be maximized. This would give access to the educational content to students who would otherwise not have it. The publications would be clearly stamped “Donated copy. Not for sale” so the generosity of the donor would be acknowledged, and to prevent unauthorized resale. Also, the process of periodic distribution would itself take several months, so the publisher would not lose any sales to those who might otherwise buy the publication. 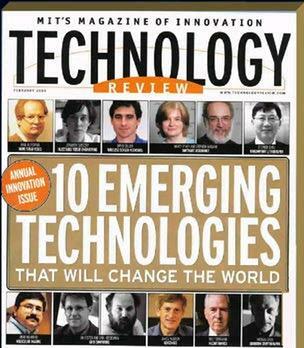 MIT’s Technology Review has generously agreed to donate their magazines for distribution. We seek other public-spirited publishers who want to make a contribution to the dissemination of useful knowledge around the world.